What Are Enzymes- Enzymes are very powerful proteins that breakdown complex carbon chains allowing you to have healthier, well balanced water that is easy to maintain. This significantly reduces the amount of chemicals needed, extends the life of your water, and decreases costs to you. 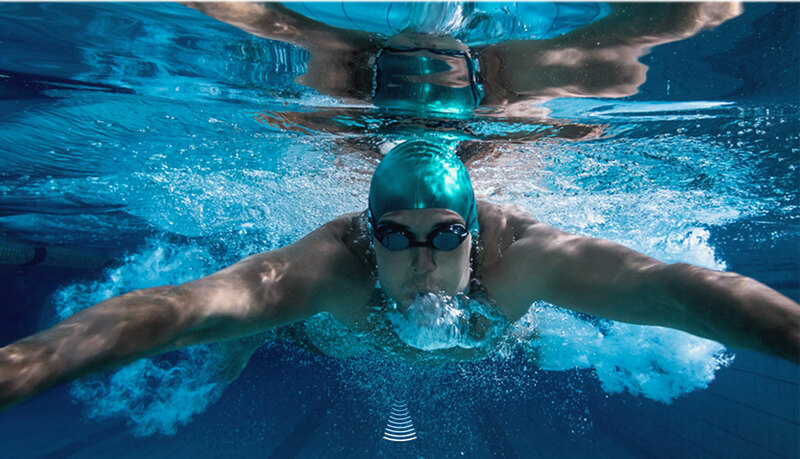 Waters Choice Pool Treatments are a powerful, highly concentrated, broad-spectrum blend of enzymes. It eliminates or reduces most of the traditional chemicals cutting your cost to maintain your pool. It helps stabilize pH levels, makes filters more efficient, stops burning eyes and green hair. It is compatible with all treatment systems, including salt. Waters Choice Spa Enzymes are a natural water conditioner that do most of the work of traditional chemicals. Very little chemical is needed to maintain safe, balanced water. Benefits include: water that leaves your skin and hair soft, is easier to maintain, causes less wear and tear on equipment, and is more cost effective. 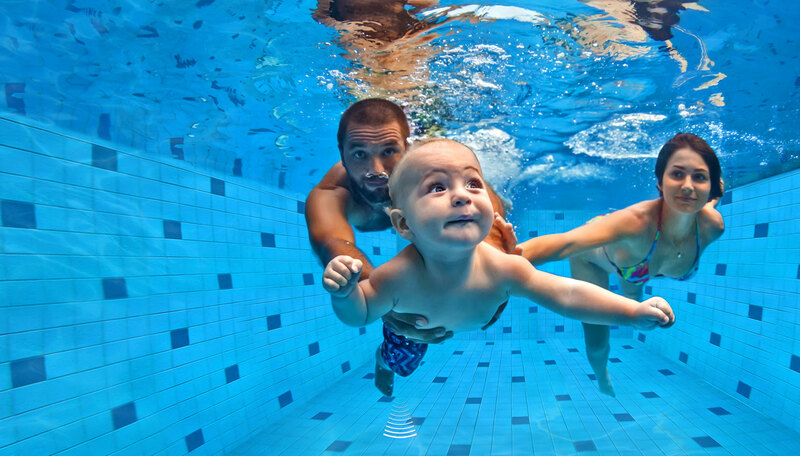 Taking care of a swim spa can be confusing because of the swimming pool/hot tub combination. 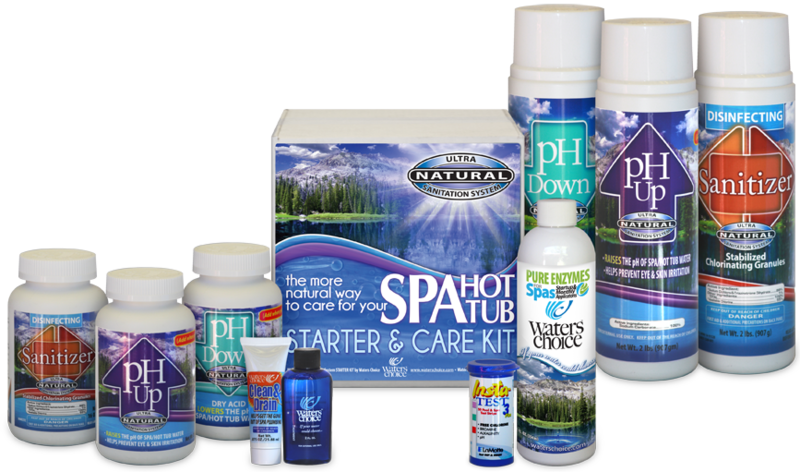 Waters Choice Swim Spa Products are the solution! 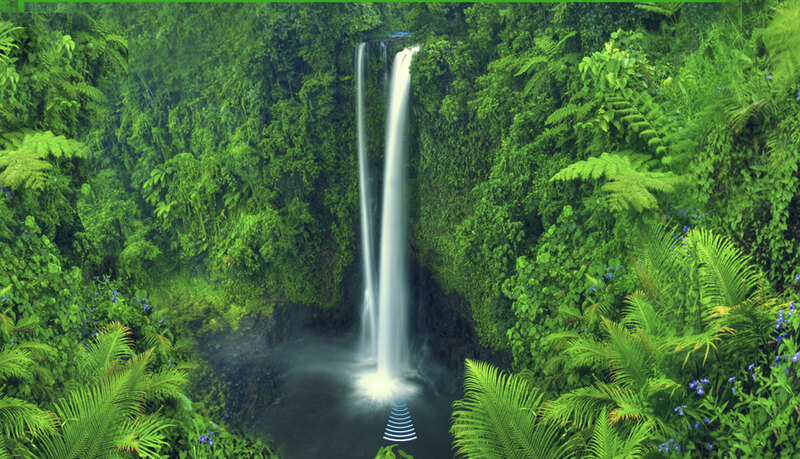 Our specific blend of powerful enzymes are designed with the larger body of water in mind. 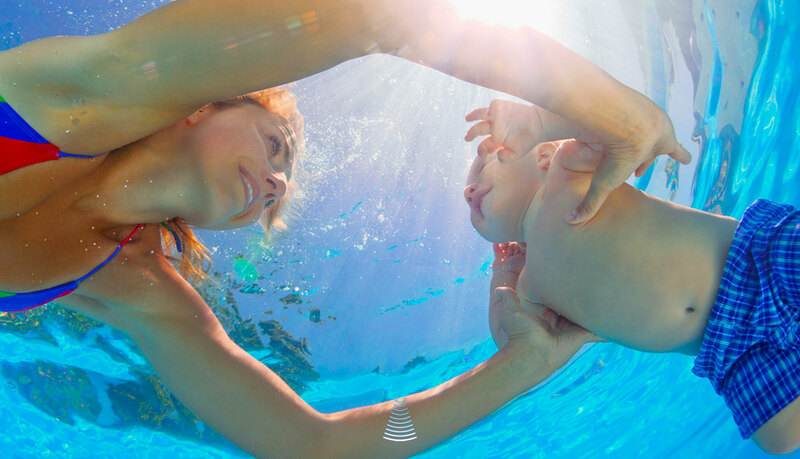 Enjoy the benefits of your swim spa without the complicated water maintenance schedule. Waters Choice Aromatherapy Salts are a great way to improve your spa experience. Our therapeutic scents can soothe, invigorate or stimulate the senses, to satisfy your needs. Blended with a variety of salts to stimulate circulation, reduce inflammation, relieve pain, and heal and refresh your skin...........Complete your spa experience. No matter what water care system you use, over time gunk will build up in your lines. Working in only one hour, Waters Choice Clean & Drain is the fastest and most potent purge on the market. Start your spa off right by thoroughly cleaning your plumbing every time you drain your spa. Filters are the key to keeping your water clear. 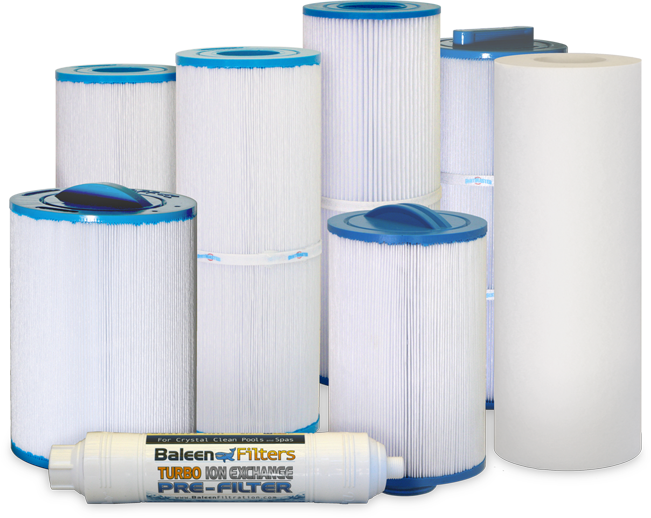 We offer pre-filters to ensure you start with the freshest water, cartridge filters for keeping your spa water clean, and Filter Savers for extra filtration. Using heavy American made filter fabric, our filters last longer and clean more efficiently.